Our good friends, Bike Friendly Richardson is having their Photo Scavenger Hunt, similar to our PhotoVelo Scavenger Hunt this past Saturday. If you missed our’s here’s another great opportunity to meet some new friends and have a great time! 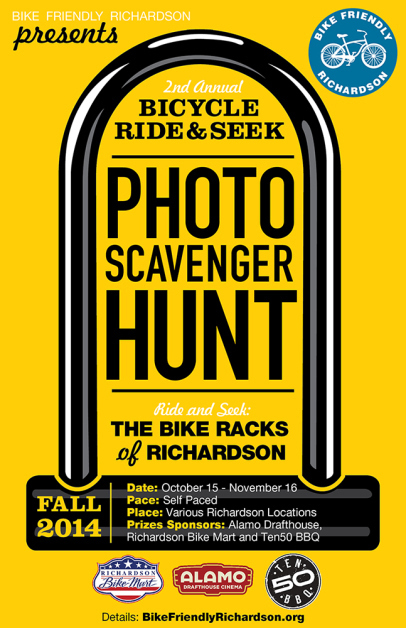 You are invited to participate in Richardson’s 2nd Annual Ride And Seek, Photo Scavenger Hunt. From mid-October to mid-November, we are inviting and motivating folks to get out and ride their bikes, explore their neighborhoods and win prizes! 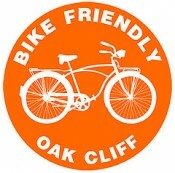 Bike Friendly Richardson is working with the City of Richardson to gather data on the current inventory of available bicycle parking throughout the city. We thought this would be a fun way to involve the bike community and collect valuable information that will help make our city more bike friendly. Place: Various Richardson Locations. We need cyclists to explore every corner of our city.